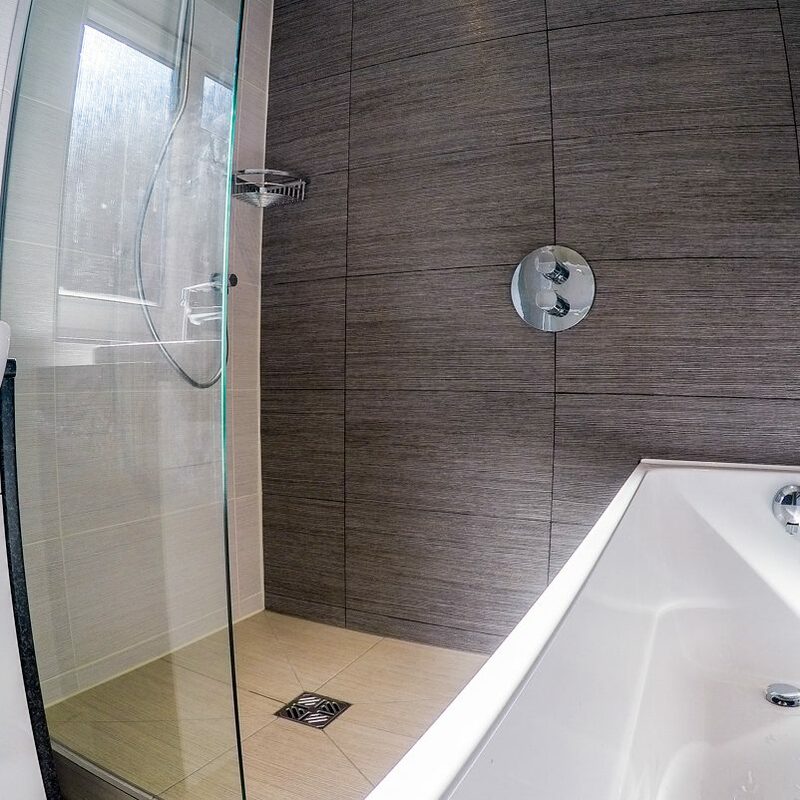 Wet rooms account for nearly a third of our fitting and installation business in Cheshire. A fully guaranteed wet room installation service can be hard to find. Every wet room is unique so we take time to ensure that only the best materials and products are used. When a cheap or badly installed wet room fails, it can be very expensive to repair. By ensuring that the correct products and procedures are used in the first place, problems needn’t arise. 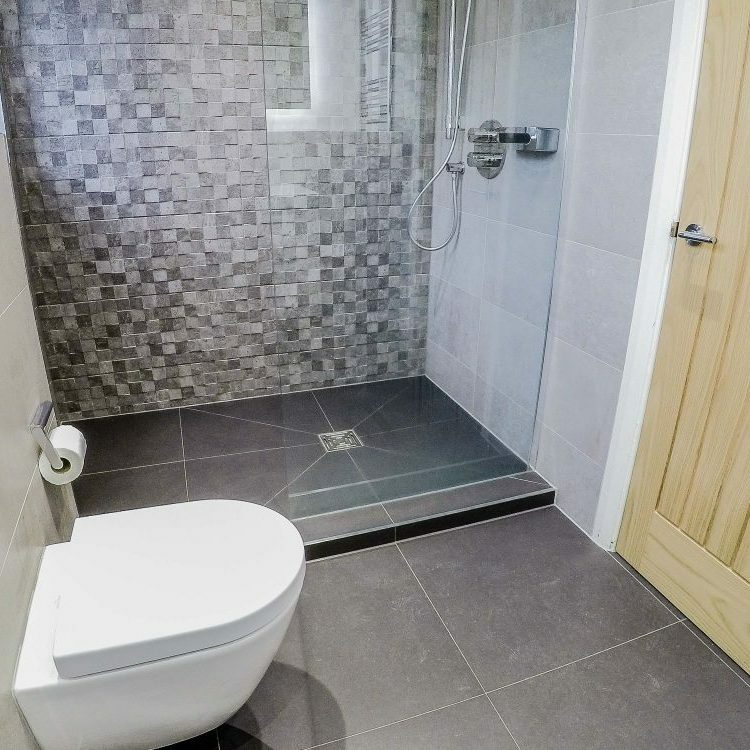 People often assume that the term ‘wetroom’ means that the whole room gets wet. This needn’t be the case as we still fit glass screens to ensure that water is deflected back into the shower area. As an added luxury, many customers also opt for underfloor heating to ensure that the wet room dries out quickly. Can I Have A Wet Room? Wet rooms can be installed in most cases. The only obstacle that tends to pop up is waste pipe positioning. Sometimes, due to the position of the waste pipework, it is not possible to insert the we room tray former directly into the floor without causing drainage issues. Options are to either carry work to the soil stack to lower the position of the waste pipework (which often involves additional work in other rooms) or to simply build a small platform. 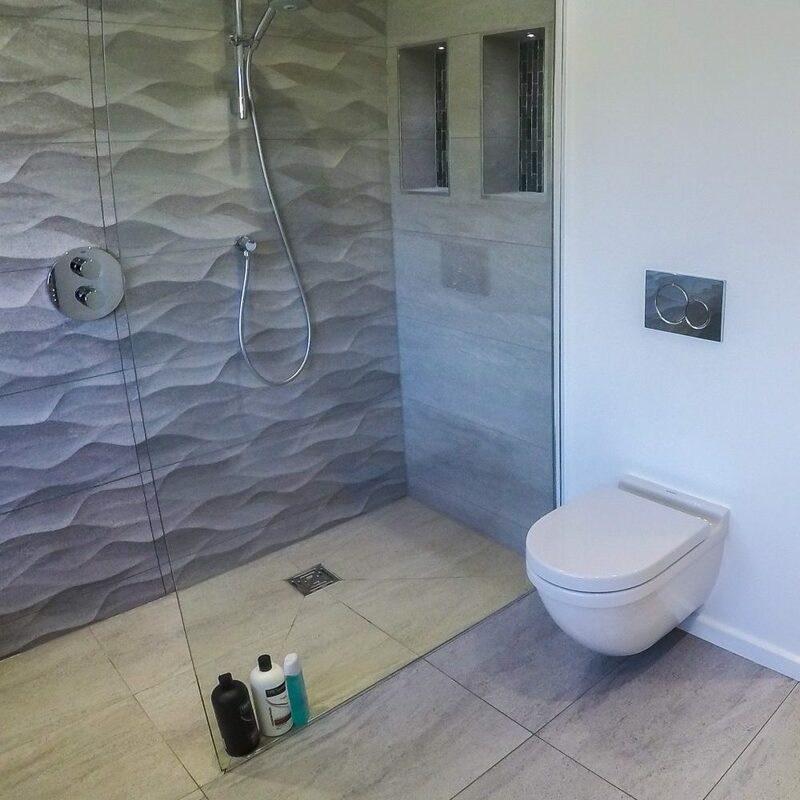 Not only a wetroom add real wow factor to your property, but in most cases a wetroom offers far more efficient use of space. Wet rooms needn’t be too expensive. Yes, they will always cost more than a conventional shower tray but they will also give the room a totally different look. For your peace of mind, we only use quality products and materials from reputable manufacturers with a proven track record of reliability and after sales service.